Follow these important LOI tips. 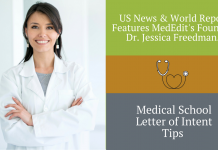 Q: What is a medical school letter of intent? A: This is a letter expressing to your top choice medical school “you are my number one choice. I will attend if accepted.” These letters are written when you have been wait listed at one of your top choice schools. If you’re accepted to your top choice school you don’t need to write a letter of intent. Q: Should I write a letter of Intent before I interview? A: Sometimes people ask us, “should I write a letter of intent before i even interview.” The answer is no. It is disingenuous to tell the school, before you even interview, that they are your number one choice and if I’m accepted I will go there. 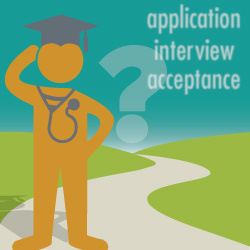 So remember, only send a medical school letter of intent after your interview. A: Don’t write a letter of intent to a school as a way to try to get in. Only tell a school that they are your number one choice and if you really mean it. Q: Can letters of intent influence a school’s decision? A: Letters of intent can definitely influence a school’s decision. A school’s goal is to fill their class with people whom they feel would make a valuable contribution to the school and the medical community. Also the school’s goal is to have people who are enthusiastic about being there. Q: Are waitlists usually large? A: Schools would ideally not like to hand out five acceptances for every seat in the class. It looks good for a school to have the highest percentage of people to whom are offered acceptances to actually matriculate. Once the school is going to their wait list they would prefer if they can fill their class as efficiently as possible. Q: What types of medical schools like to receive letters of intent? A: We find that letters of intent make a difference. 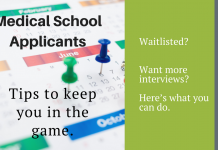 After people have written persuasive and heartfelt letters of intent to medical schools, where they are waitlisted, they’ve been accepted to those schools. This applies to all ranges of schools, from the best schools or most competitive schools in the country, to the least competitive schools. However, all medical schools should be viewed as competitive. 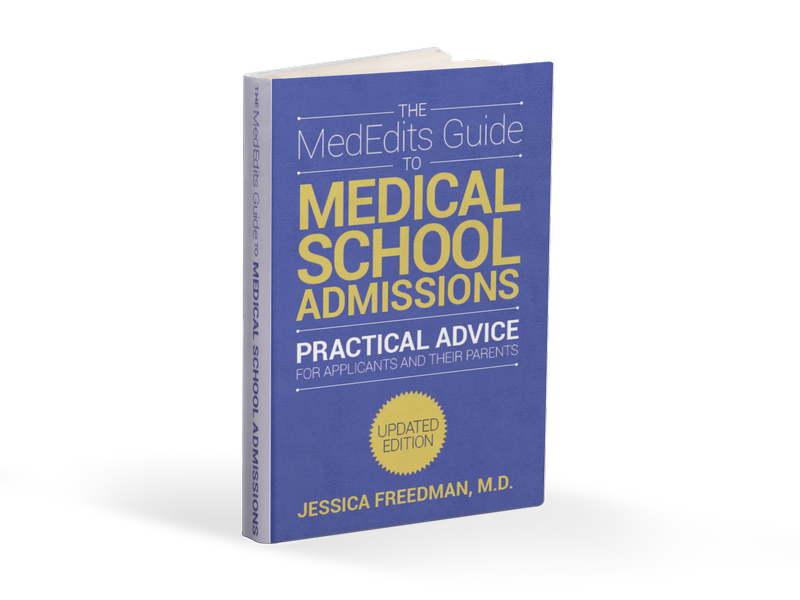 For more information about letters of intent (LOI), click here to read chapter 35 in The MedEdits Guide to Medical School Admissions, or click here to view our LOI services page. Do send a letter of intent to to the top choice school where you are waitlisted. This is extremely important. Do send update letters on any recent accomplishments. 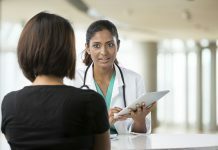 Don’t send a medical school letter of intent before an interview. 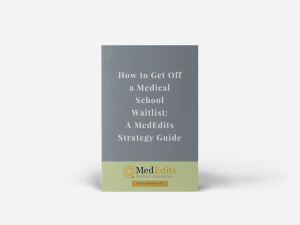 Don’t send multiple letters of intent to medical school. So remember, only send a medical school letter of intent after your interview. Q: To whom should a medical school letter of intent be addressed? A: A letter of intent should be addressed to either the dean of admissions or the director of admissions or both. 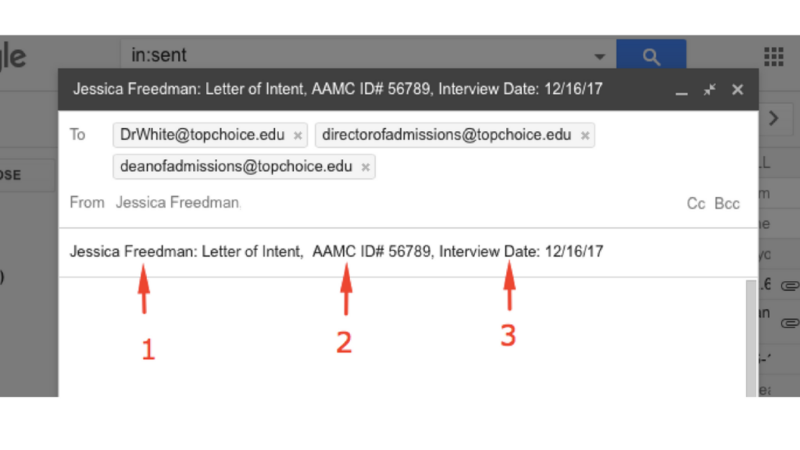 Do not address a letter of intent to the admissions committee. Do your research to find out who’s in charge. Q: Should the medical school letter of intent be sent as a PDF attachment? A: I do recommend emailing letters of intent as either the body of the email or as a PDF attachment. Q: What should the subject line be? The people whom you interviewed with if the interview format was traditional, one on one. If you had an MMI interview or panel interview listing interviewers would not be posslble. If you interviewed with 2-3 people you’d want to include their names in the letter so they can identify you. 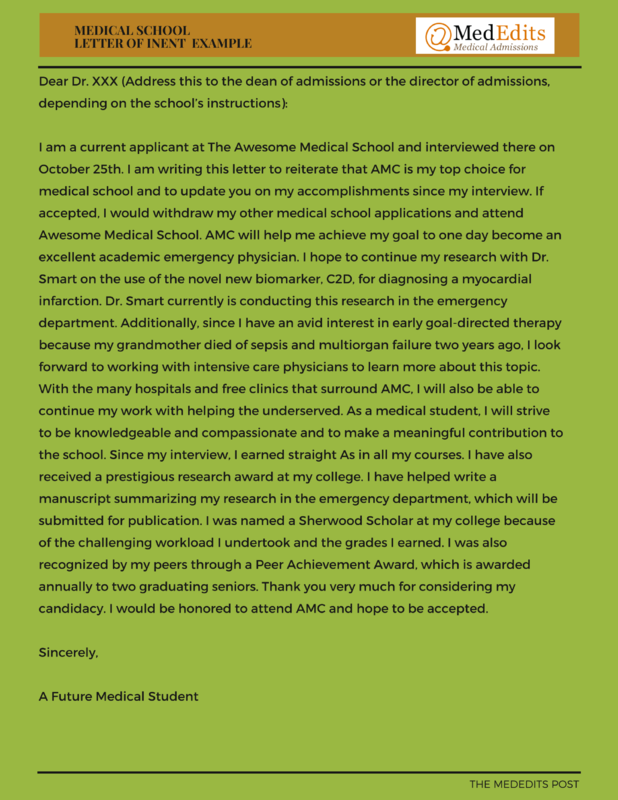 How do I write a medical school letter of intent after interview? 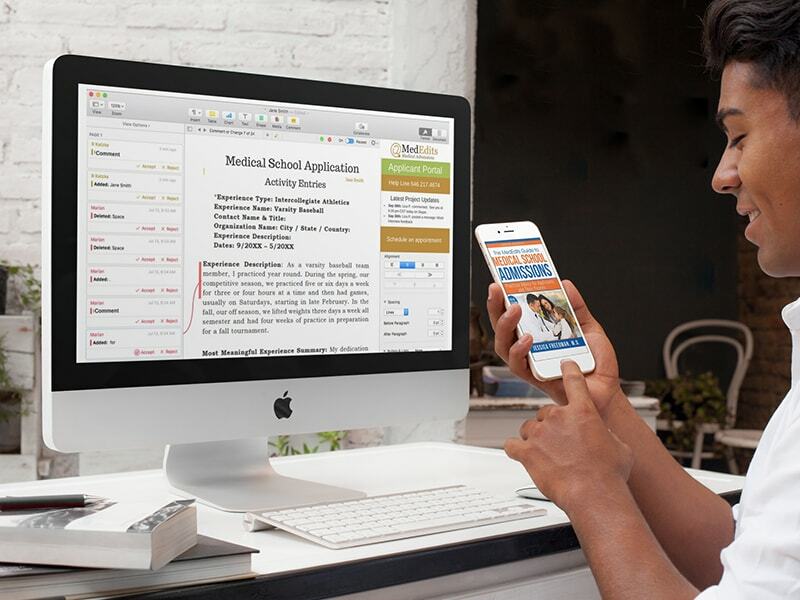 MedEdits’ Student Portal which guides students through the medical school application and letter of intent editing and revising process.